In the 93 year history of the National Football League only four teams have had an undefeated regular season. Hopefully that is something to remember as we disappointed Seahawks fans saw our team lose for the first time this season on Sunday. Seattle’s 34-28 defeat to the Indianapolis Colts drops the Seahawks to 4-1 on the season and we hold a one game lead on the San Francisco 49ers and Arizona Cardinals for first place in the NFC West. There was some good, some bad, and a bit of frustration mixed into this week’s game. Here is what I saw. 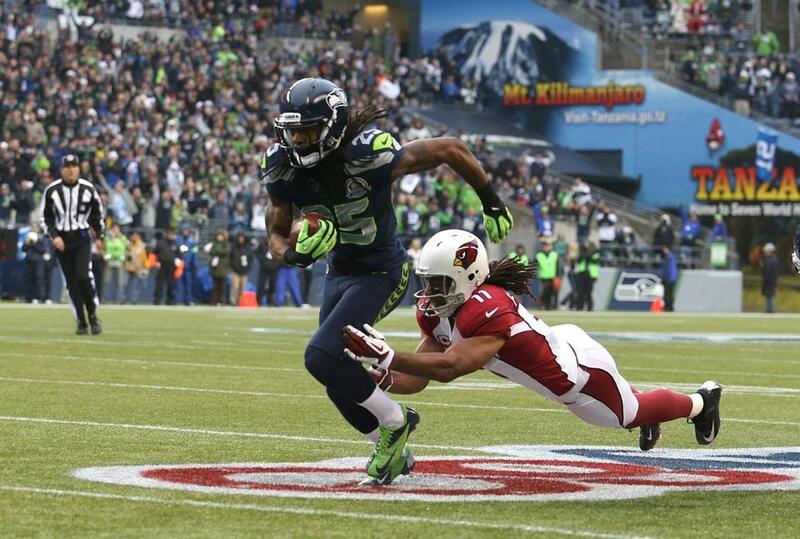 First Half Offense Shows Improvement: The first 12:15 of the game could not have gone any better for the Seahawks. After getting on the board with a field goal, the Seahawks drove 64 yards on 8 plays capped off with a 10-yard touchdown pass to Golden Tate. After forcing another Indianapolis three-and-out, Jermaine Kearse blocked Pat McAfee’s punt which resulted in a safety as the officials ruled that Jeron Johnson did not have complete control of the recovered blocked kick in the endzone. 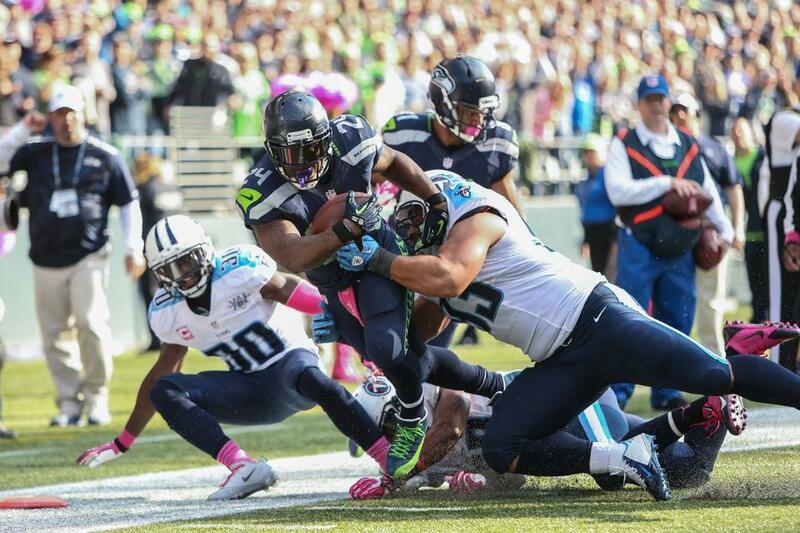 Instead of a touchdown and a 17-0 lead, the Seahawks had to settle for the safety and a 12-0 lead. Add in a Jermaine Kearse touchdown in the second quarter and the Seahawks scored 19 points in the first half; 13 more points than in the first half’s of their first two road games combined. I think that the fast start will pay dividends going forward as it shows that we are capable of getting out to an early lead and taking the initial momentum of the game. Thoughts on the Zone-Blocking Scheme: One of the things I always look for is for the Seahawks to be effective in the running game. 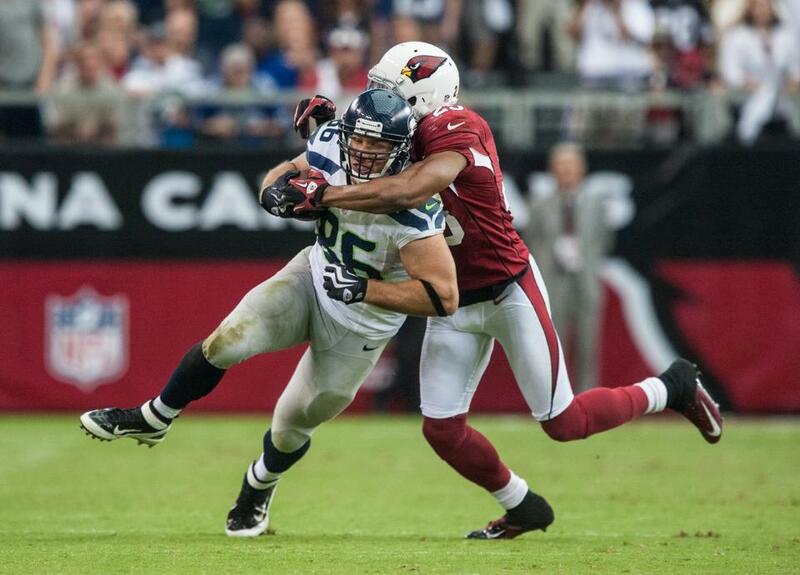 Today the Seahawks seemingly looked unstoppable on the ground. I don’t want to take anything away from Marshawn Lynch because he gained over half of his yards after initial contact but the fact the Seahawks had two 100 yard rushers (Lynch and Russell Wilson) shows how the zone-blocking scheme implemented by offensive line coach Tom Cable is supposed to work at its best. Even without Pro Bowlers Russell Okung and Max Unger as well as starting right tackle Breno Giacomini, it is a telling sign that the talent along the offensive line is not the most important thing when it comes to running the ball with the zone-blocking scheme in place. Could you imagine if our 2005 offensive line (Jones, Hutchinson, Tobeck, Gray, Locklear) was blocking for Marshawn Lynch in the zone-blocking scheme now? Lynch may be a 2,000+ yard rusher with that unit. As our offensive line continues to get healthier, I think Marshawn Lynch’s production will only increase and both Robert Turbin and Christine Michael could also see improved statistics if they see playing time. Defense Struggles: After forcing three straight three-and-outs to open the game, I thought the Seahawks were going to run away with this game. Unfortunately there were three quarters and change left to play at this point. The Colts were 7/12 on third down on Sunday and Andrew Luck was very effective in picking apart the Seahawks defense on short passes later on in the game. After doing a decent job of stuffing Trent Richardson in the first half, the Seahawks were unable to stop Richardson for little or no gain when it mattered the most. Richardson’s longest run of the game was only 16 yards but his short yardage runs on first down made it easier for the Colts to convert over half of their third down attempts. I was very disappointed in the tackling this week, especially in the open field. This was never more evident than on T.Y. Hilton’s 73-yard touchdown catch in the first quarter when Earl Thomas overran Hilton, allowing Hilton to cut and walk in for the touchdown. Overall, our offense is what kept us in the game until the very end. I’m not taking anything away from Indianapolis, as they have dynamic playmakers on offense that are capable of scoring points, but allowing 31 points is unacceptable for this group. After allowing only 10 points in their first two games, the Seahawks have allowed 17, 20, and 31 points in each of their last three games respectively. Fixing fundamental problems on defense should be a focus in practice this week. With a home game on deck, this is a prime opportunity for the Seattle defense to get back to the way they were playing in their first couple of games. Thoughts on Indianapolis: At the start of each season my friends and I like to predict the playoff field, seedings, and playoff matchups leading up to us predicting a Super Bowl champion. I predicted that the Colts would win the AFC South over the Houston Texans and this game proved why they belong at the top of their division. The Colts have very impressive talent on offense and what I believe to be an underrated defensive unit. 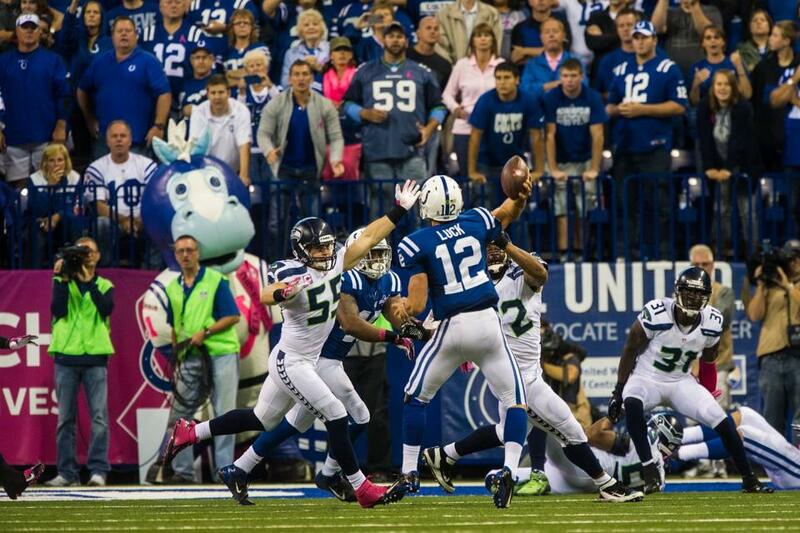 Andrew Luck really impressed me against the Seahawks. The poise he showed rivals the current elite quarterbacks in the NFL and it will not be long before we mention Luck’s name with the likes of Rodgers, Brees, and Peyton Manning. The Colts are going to be good for a while and if they play like they did against the Seahawks, I would not be surprised to see them make a push for a division championship along with a first-round bye in the AFC playoffs this season. Thoughts on the Officiating: I understand that there is no changing what the final outcome was today but I do believe that there were multiple calls that went against Seattle today that could have changed the outcome of the game. The calls I question were a pass interference call on Brandon Browner on third down and long, a pass interference call on Richard Sherman where receiver Reggie Wayne simply slipped and fell down on his own, and a pass interference non-call on our final drive (where the Indianapolis defender had his arm wrapped around the waist of receiver Sidney Rice) which would have given the Seahawks a fresh set of downs and would have gotten us closer to the endzone. Two of these calls occurred along the Colts sideline with the players and coaches signaling the officials to convince them to throw a flag and it seemed to work. Last week I mentioned the role the crowd can play in determining whether or not a flag is thrown and I feel like that may have cost us today. At the end of the day, the loss stands and the Seahawks will move forward and try to get better to make sure these situations do not come to fruition in future games. 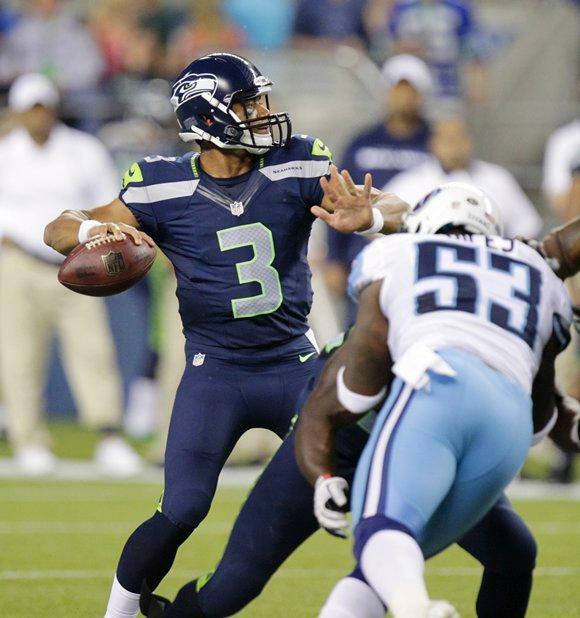 Random Thoughts: The Seahawks wore white jerseys and white pants just like I said they would in my game preview. It wasn’t so bright inside the stadium however because the roof was closed… As much as I enjoyed getting a break from Chris Myers and Tim Ryan on the FOX broadcast maybe they are our good luck charms. We are 2-0 so far this season when Myers and Ryan have the call… John Lynch didn’t really seem to have a lot of good things to say about either offense this week. Not surprising though since he was a defensive player who was taught to hate the opponent’s offense… I understand and appreciate the gesture of having pink penalty flags in honor of breast cancer awareness month but they are kind of an eyesore and also very confusing. Since the players towels are also pink there was confusion in this game as to whether or not a penalty flag was thrown or not. I say go back to the yellow flags for next week’s games… The Seahawks do not have another 10am kickoff until week 10 when we play Atlanta… The most encouraging thing I saw online after this loss was from Jayson Jenks of the Seattle Times. He stated that in the long run this game will not have any serious effect on the Seahawks playoff chances and that “the feeling was that Seattle needed to win one of two games at Houston and Indianapolis, and that’s what the Seahawks did.” My hope was that the Seahawks needed to be at least 3-2 after their first 5 games to stay in good shape in the division race. 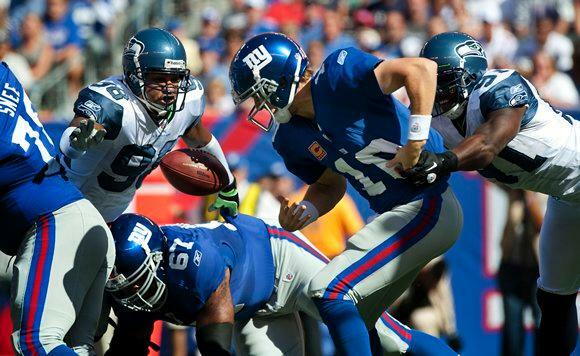 The fact that they are 4-1 is a huge plus and most Seahawks fans would accept that record in a heartbeat. Arguably the toughest road stretch of the season is over and in our next 4 games we have two against sub-.500 teams and two at home. That is something to think about moving forward. 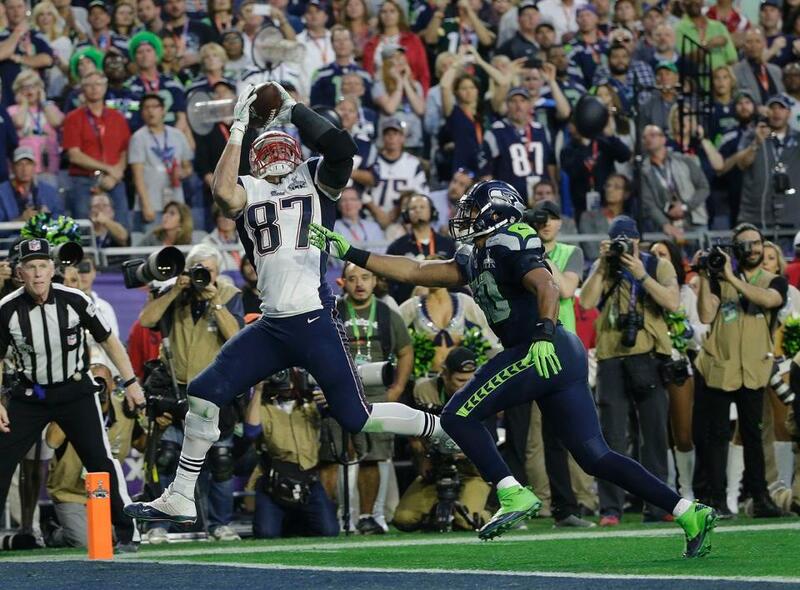 Don’t panic yet, 12th Man. Check back on Saturday as I preview our week 6 game against the Tennessee Titans. Thanks for reading. Go Seahawks!